GovDataHosting is YOUR preferred source for HHS application cloud migration, consolidation, and modernization services. GovDataHosting, through its parent company IT-CNP, Inc., is an awardee of the HHS Next Generation Information Technology Solutions (NGITS) Application Hosting Blanket Purchase Agreement (BPA). 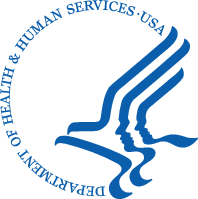 GovDataHosting was chosen by HHS due to its proven capabilities and extensive record of accomplishments in providing FedRAMP/HHS certified cloud hosting, experience in application migration to the cloud, and all-inclusive HHS cloud security compliance services. Our projects are always on time, within budget, on target, and now available through the HHS NGITS Application Hosting contract. Call 1-800-967-1004 or fill out the form below to receive more information about the HHS NGITS Application Hosting Contract.